Olive Branches placed in a Hand-Carved Bowl - They will stay green and last for days , even without water. I love sharing the design process with tips on designing functional, practical and beautiful architectural spaces! Along with that I've decided to dedicate my Sunday post to what I'm calling Simply Sundays, which will include an assortment of lifestyle topics. Go here to see last weeks post. If I could I would have fresh-cut flowers effortlessly arranged and placed all over my house, and not just for special occasions, but every day of the week. And every few days they would be replaced with new ones so the flowers never start looking tired.,,but since that's not very practical, I always go to the next best thing...using cut greenery and flowers from our yard, and property. Fortunately, with living in Northern California, there is always something green, and always something blooming. All it takes is a few favorite vases and containers, clippers and some greenery...and I'm happy. Life is busy enough, so let's not complicate it any more than we have to! 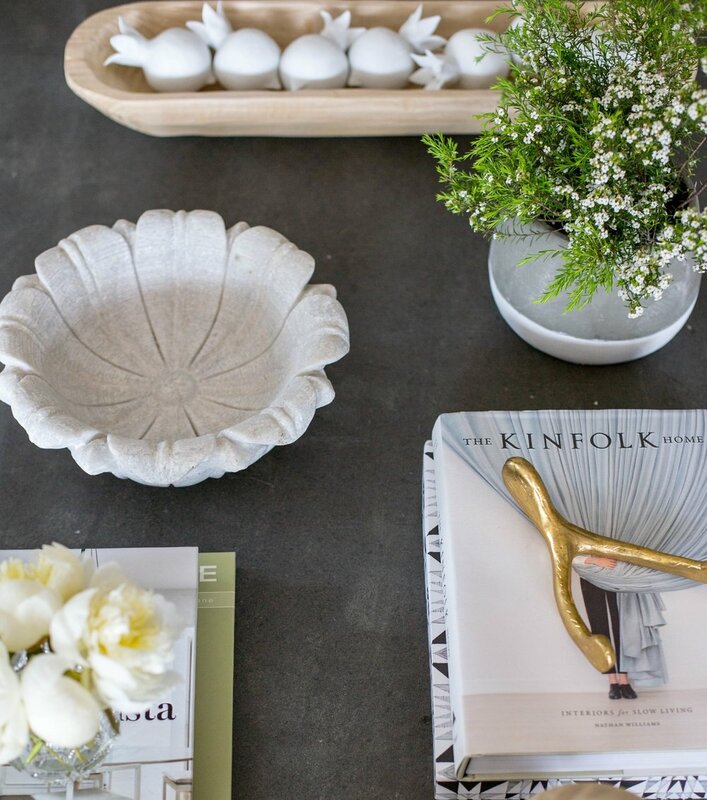 With a few favorite vases and containers, it doesn't take much effort to create a simple arrangement. A pop of fresh cut greenery is always a good idea. It brings nature, warmth, texture and interest to any space. When choosing vases or containers, use those that make it easy to just plop the cut greenery or flowers in, without having to fuss with adjusting and arranging. Wishing you a simply, beautiful Sunday!